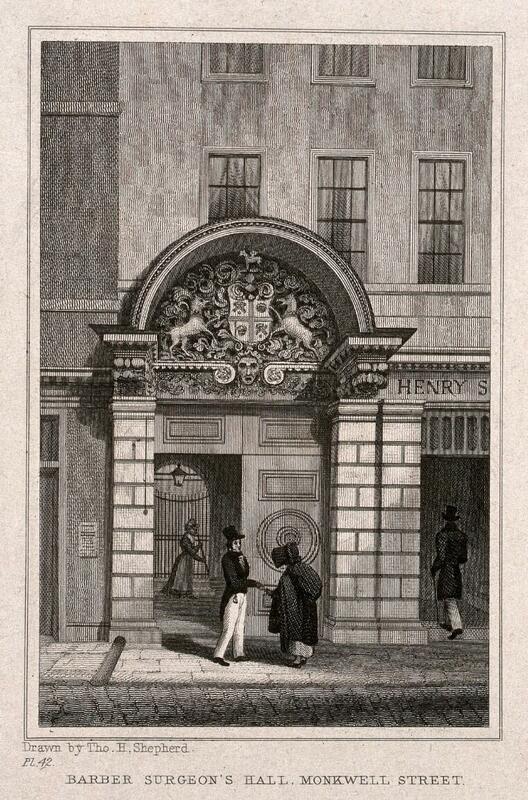 Barber-surgeons' Hall, Monkwell Street, London: the entrance to the hall, with elaborate heraldic carving above the doors. Engraving after T. H. Shepherd, 1830. Barber Surgeon's Hall, Monkwell Street.